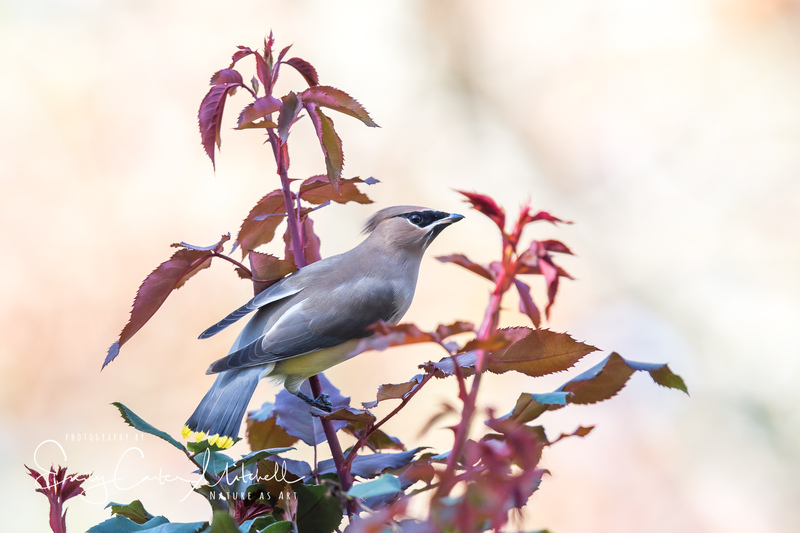 This week I’ve had the special privilege of having a flock of Cedar Waxwings spend time in my garden. One afternoon I sat inside my photo blind in hopes of the flock landing on one of my water fountains. I could hear them in the tree above me zee-zee-zeeing, but when a few would drop down they would catch eye of the shiny end of my lens and quickly fly back up to the tree. I managed to get a few captures, and this is one of them. After posting the image on Facebook on local birding page, several people mentioned that it was reminiscent of an Audubon print. With that suggestion, I decided to edit the image with a sketch effect found in Topaz Impressions in the Topaz Studio suite. Here is the original that I started with. It sure looks like a painting! Fantastic! Your work is great! I love it. Oh, Emily – I continue to learn from following your blog. I may not add many comments, but I’m here! Thank you! I am finding that photography is following Alice’s rabbit down the rabbit hole. Hugs! Same here..we’ll always be friends Rebecca. I’m learning so much also. Such a fun thing though. You have such a special garden! I’ll likely never be able to identify bird calls. But in my yard I hear birds saying, “research, research…” It seems so appropriate since I worked at NIH. I love the cedar waxwing. They used to visit my parents’ place all the time when we were younger. Glorious birds.